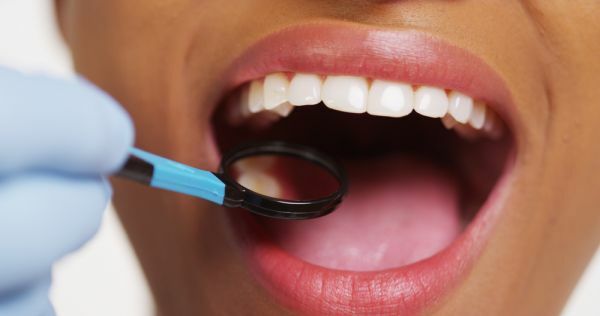 If you have ever wondered, “Am I a candidate for dental implants?” we encourage you to call (973) 542-7597 and schedule an appointment with our East Orange, NJ dental office. Dr. Roman Khodosh can conduct an examination and take x-rays to determine if you qualify for implant surgery, and if not, what it will take to get you there. At Roman Khodosh DDS PC, we will work with you to come up with the best way to replace your missing teeth, even if that means conducting additional procedures to ensure that you do qualify. Yes, you are. However, you may need to wear an orthodontic solution to create space for the implant first. It is unwise to attempt to place an implant when there is not sufficient space. This will only exacerbate the challenges you have. It is important to time procedures correctly so an implant is placed in an area that has been prepared for it. Since the process requires oral surgery, it pays to do it right the first time. Am I a candidate for dental implants if I am elderly? Yes, many of our patients are seniors, and we believe it is never too late to improve your smile. The only consideration with any patient is that we must make sure there is sufficient bone density to support an implant. This is something seniors commonly struggle with, and in this case, a mini-dental implant may be more appropriate, since the metal post is shorter, requiring less bone structure to secure to. Certainly; at Roman Khodosh DDS PC, we treat many patients who have crooked teeth. In many cases, our patients will begin an orthodontic treatment and have a dental implant placed when it is nearly complete. That way, space can be created for the implant if necessary. Simultaneously, when the procedures are combined, your smile will be greatly improved. In rare cases, existing teeth do not respond like they should to an orthodontics treatment like braces or aligners. In this situation, an orthodontist may recommend having that one particular tooth removed and replaced with a dental implant. This is something we can discuss with you in our East Orange dental office. Yes, the position of your bite does not necessarily impact whether or not you qualify for dental implants. However, we will typically recommend that you consider an orthodontics solution to address this issue. By aligning your jaw first, you can have both the functional and appearance aspects of your smile corrected. Check out what others are saying about our Dental Implants support services on Yelp: Am I a Candidate for Dental Implants East Orange. Absolutely! Dental implants were designed to replace missing teeth. Whether you have lost one or several teeth due to age, infection, decay, or damage, we can replace them with durable dental implants. This is the best way to replace missing teeth, because it is the only solution that replaces both your missing root and tooth. A titanium post will be secured to your jawbone, and through the process of osseointegration, the jaw will provide the same level of stability to your replacement tooth that it did to your natural one. Patients throughout New Jersey appreciate how durable this solution is and how it allows them to maintain an active lifestyle while eating all their favorite foods. If you are simultaneously evaluating dentures or a dental bridge, consider how a solution that acts and looks natural would positively impact your lifestyle and then call 973-542-7597 to schedule an appointment with Dr. Roman Khodosh. You should not get dental implants until your gum disease has been eliminated. Healthy gums are critical for this procedure, since we need to cut into the gums to place the metal implant. Any existing infection could decrease the success rate of the procedure and extend your recovery process. When you visit our East Orange dental office, we will let you know if you have any signs of gum disease and present you with a treatment plan to address it. Not yet, but you will be. In our 07017 dental office, we can treat your cavities by removing tooth decay and restoring your teeth. This is a fairly quick procedure and should be completed before you get implants. At Roman Khodosh DDS PC, we want to ensure your mouth is healthy prior to starting a procedure of this magnitude. At Roman Khodosh DDS PC, we treat patients in all stages of life and often work with seniors who receive dentures after tooth loss and are now dissatisfied with the results. This is natural because, while dentures are effective, they come with a level of inconvenience. They need to be taken out to be cleaned and soaked, and they can become loose and slip out of place. This creates challenges for people who want a solution that looks and feels natural. The challenge is that after tooth loss, the body goes through the process of resorption. This is where calcium is leached from the jawbone for use elsewhere. If your teeth have fallen out years ago, your jawbone may not be dense enough for the procedure. In this case, Dr. Roman Khodosh may need to perform a bone graft or refer you to specialist for one. The other solution to consider would be mini-dental implants, where the actual post is shorter, requiring less bone density to remain in place. Dental implants are by far the best solution for tooth loss. An implant looks completely natural, so much so, you will not be able to tell which tooth was ever replaced. It is also durable enough to allow you to engage in high impact activities, like running a marathon or singing in the choir without worrying about your tooth becoming loose. You can eat all of your favorite foods and smile with confidence. To learn how this solution can work for you, call and schedule an appointment by calling (973) 542-7597.